Chia Seeds are naturally preserved by an omega-3 called cinnamic acid, preventing them from going rancid and extending their shelf-life. Studies indicate omega-3’s help to reduce inflammation and improve cardiovascular health. 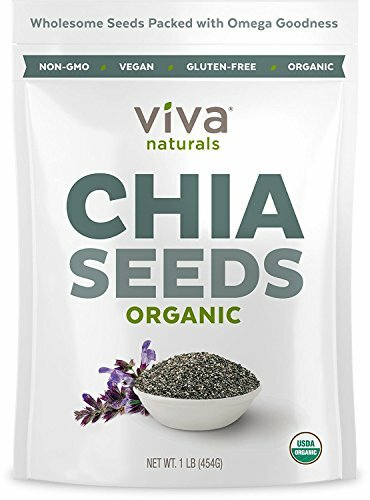 Viva Labs Organic Chia Seeds contain 2,440mg of omega-3’s per serving. Chia seeds can be used as a binder in virtually any recipe because of its gel-forming ability, or can simply be sprinkled over your favourite smoothies, oatmeal, yogurt and salads. Add 1-2 tablespoons per day to amplify the nutritional integrity of your favourite dishes.